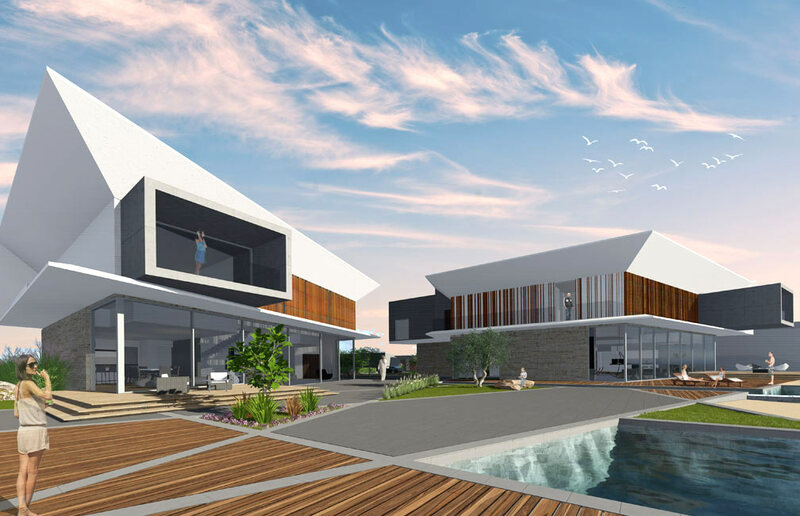 The concept for the chalet incorporates the landscaping into the dwellings and incorporate nature into the chalets. It allows the users to open up the internal spaces with the eternal areas and feel a sense of natural transition. The private accommodation areas appear to sit above the landscape as if weightless. 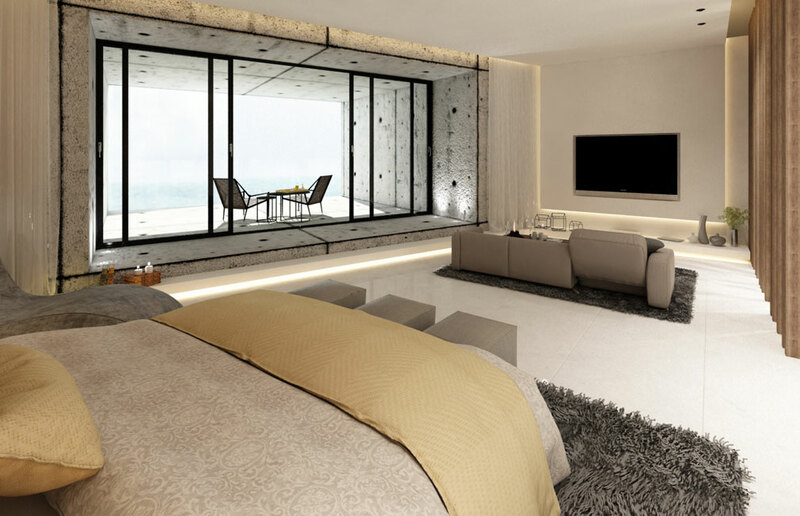 This will be achieved by creating full walls of glass that address the ocean views. 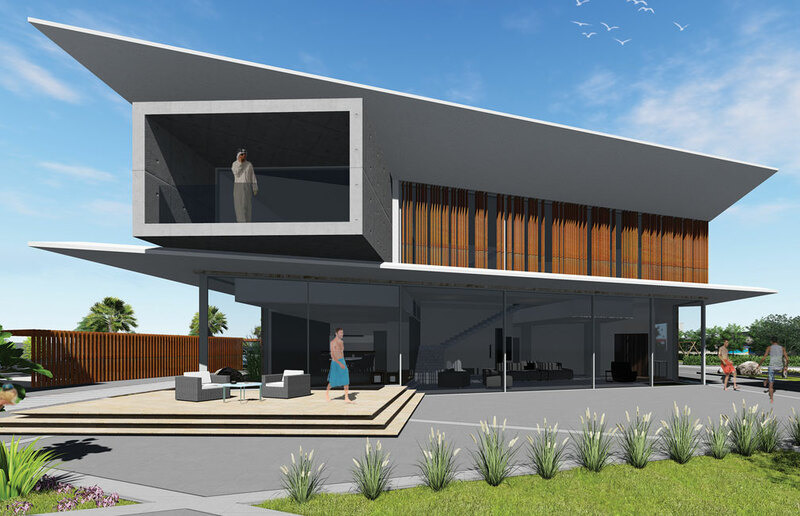 These massing will mimic the image of sails and accentuate the opening views out to sea. These ‘sails’ will be intersected by various masses that will act an enhancer to the image of creating weightless architecture. This is a true reflection of Kuwait Architecture. By creating cantilevered massings the design will naturally create spaces of shading. These natural shading spaces will help to control the micro climate surrounding the chalets along with green spaces and water elements. 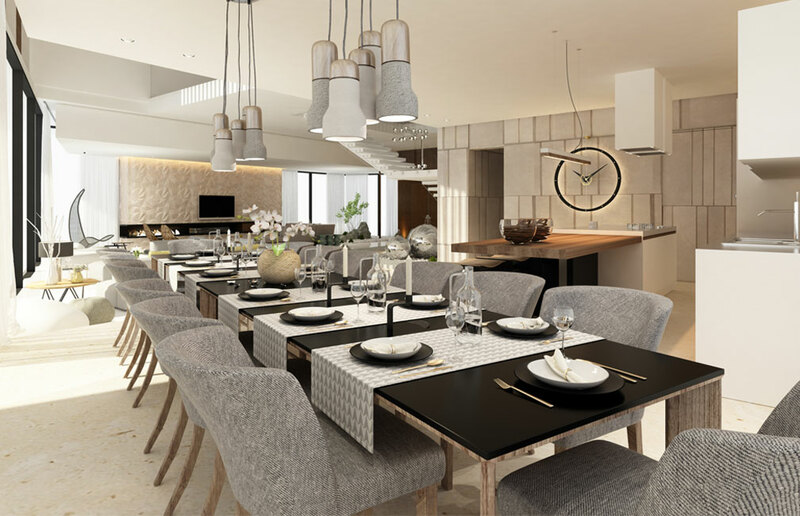 The design approach is to create a holistic environment for the users that allows the transition of external to internal to feel seamless and natural. 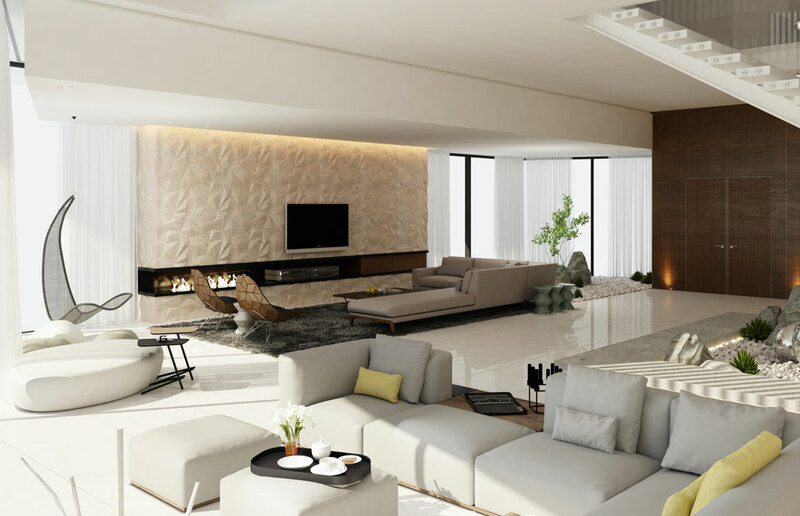 The interior design reflects that of the landscaping by maintaining a sense of minimalism that connects directly to the landscape through the large glazing. 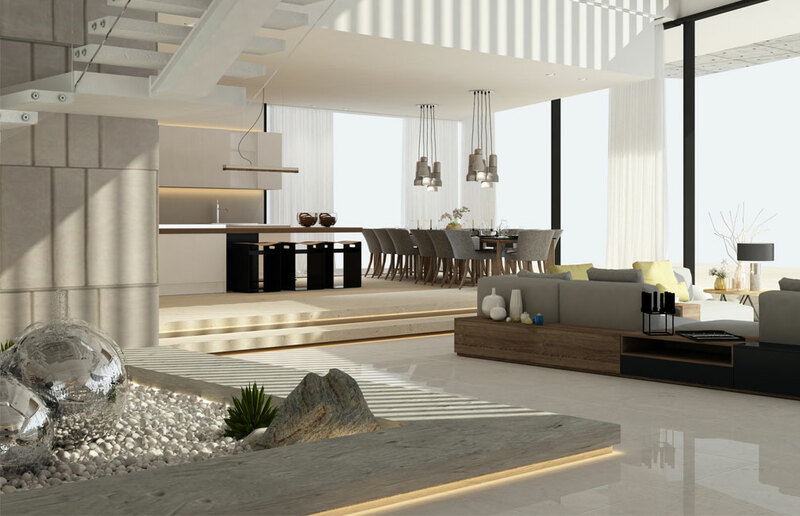 Using light colors through the ground floor creates a bold statement for the furnishings that emphasize the luxury beach side life style by combining areas of loose furnishings and areas of set pieces. 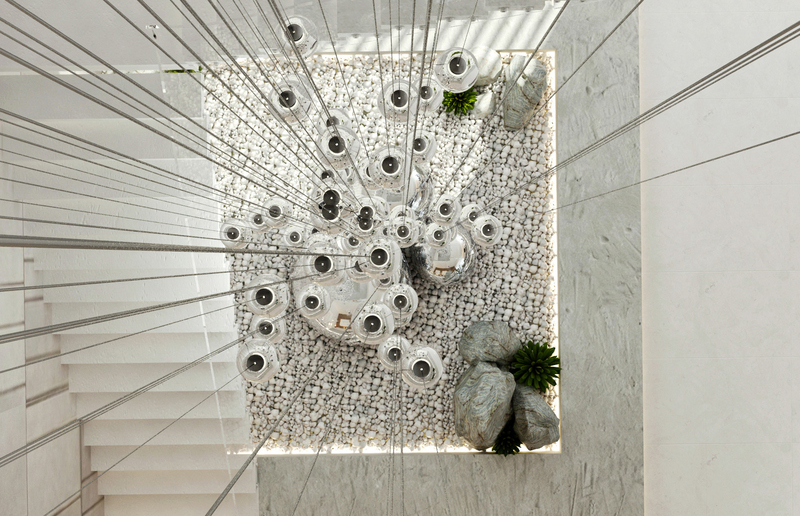 The stairs create a light weight connection to the upper level that also sits above a stone garden with water features that create an internal environment that mimics the external spaces. 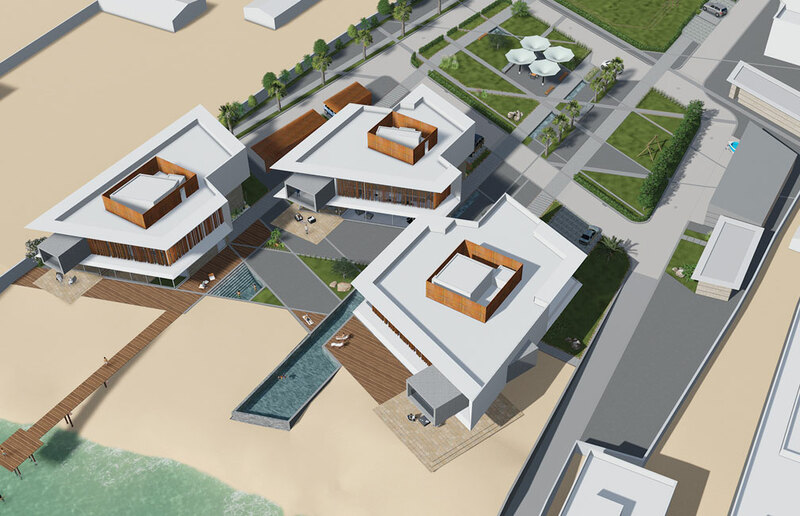 The design emphasizes on the privacy issues and respect the independence of each of the unit, something that is inherited from the kuwait Architecture typology.